Ah, childhood birthdays. The stuff dreams are made of! Aside from the fatigued cheek muscles you exercised to make every last photo your best, your life was pretty good when birthdays were strictly about cake, ice cream, and presents. And of course, you want the same joys for your kids. When it comes to birthdays, we, too, take too many pictures and want to get the decorations just right. We love them so much that we’re going to devote the entire month of January to the topic, and you are cordially invited to the celebration! We adore birthdays for the fun opportunities they bring to dream up, create, and share exciting decorations and favors. We’ll be chatting about all that good stuff later in the month. Today, however, we want to focus on a very unique opportunity a birthday lends a parent. A birthday is an excellent time to account for the changes that have accrued in your child’s life over those past 365 days. Here are some creative ideas on using birthdays to preserve the memory of your little ones while they are still little. Can you think of a better paper fit for the birthdays you’ll celebrate this year than the festive Confetti Wishes paper packet? This paper packet is spot on for such celebrations and will coordinate with your photos perfectly. 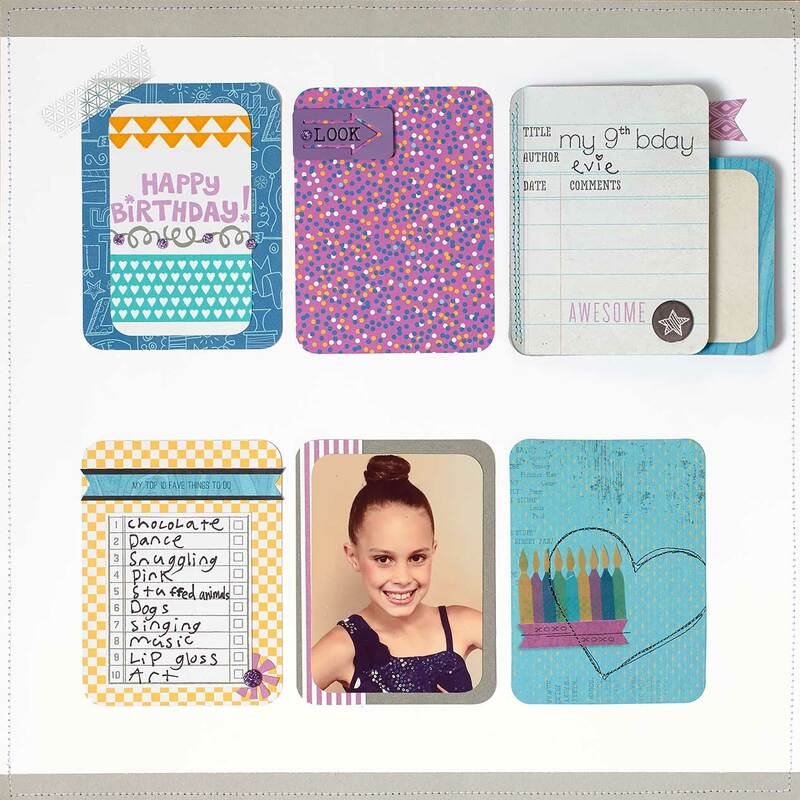 This page uses some of our favorite Picture My Life™ cards in creative ways. The mini album in the top right corner is cleverly concealed until you take a closer look—isn’t that cool? Have your child respond to the prompts on these Picture My Life cards in their own handwriting, then turn them into your scrapbooked artwork. What a keepsake for the both of you in years to come! 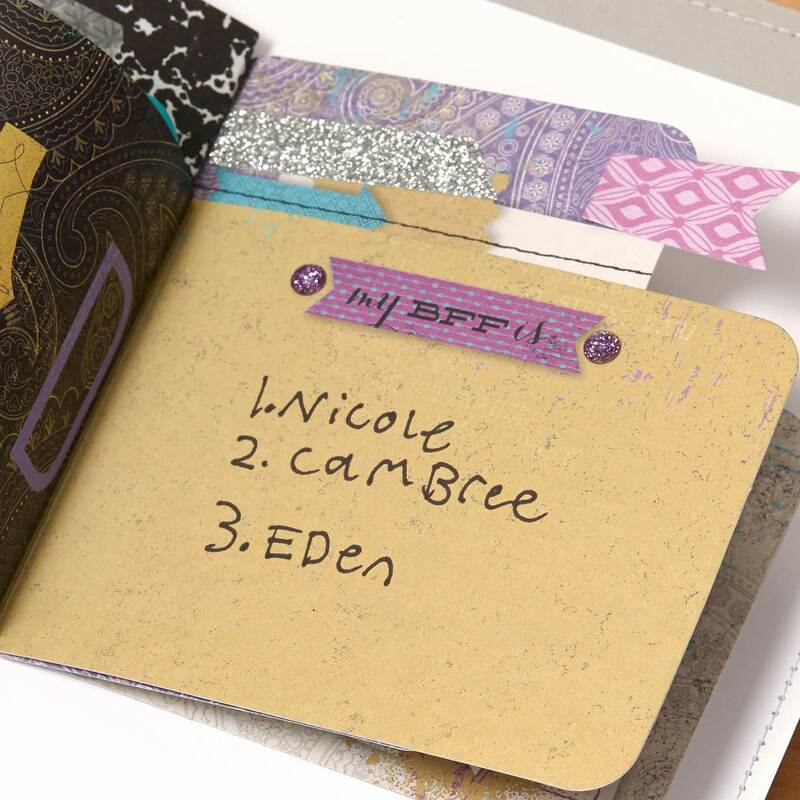 Use stamps, washi tape, and other embellishments to ornament the pages of your mini album. Use pieces that will help tell the story of your child’s year and current favorites. 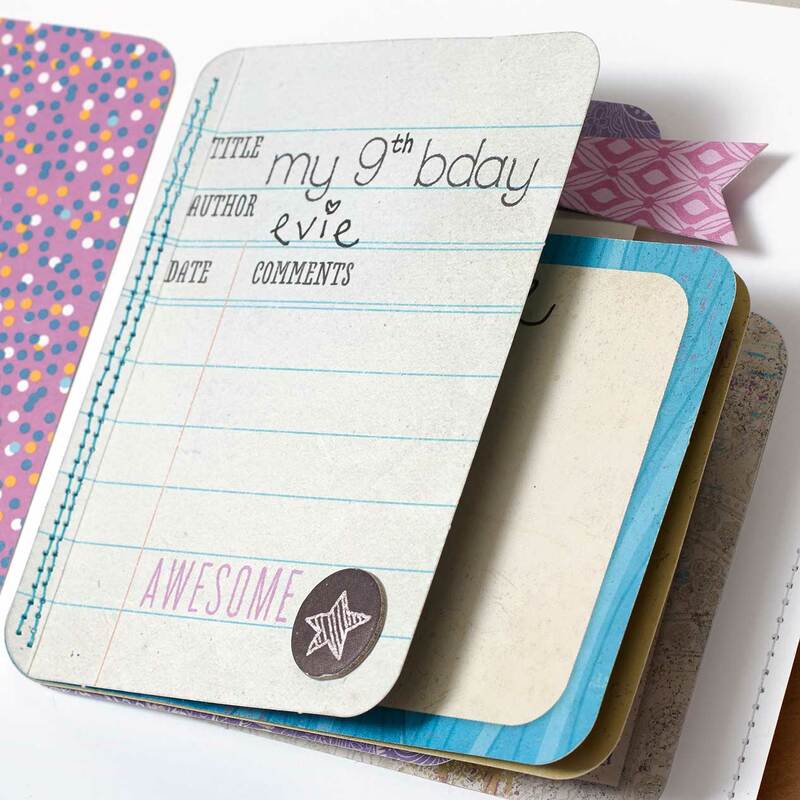 You could use their favorite colors, stamp sentiments that fit them just right, or even tidbits of their school projects. Did you notice that not all the other cards on the page are from the Picture My Life line? 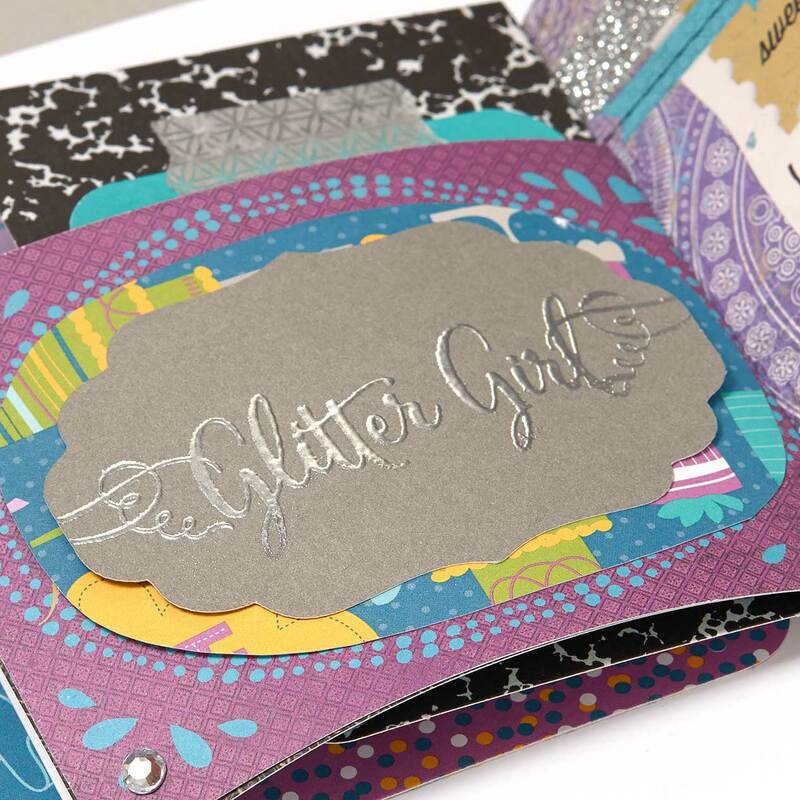 That’s right, folks: many of these are handmade 3″ x 4″ cards, done with the simple punch of a corner rounder and decorated to contribute to the theme of the page. If you love the idea of creating your own Picture My Life cards, there are also dozens of adorable design options you can cut using the Cricut® Artfully Sent cartridge. • Have each guest at your child’s birthday party write a short note or memory about your child. Include these notes in a pocket on your child’s birthday page or use them to make a Picture My Life page. • Have your child write a list of the presents they were given. Include a photo of your child with their presents as well as the thank-you cards they’ll be sending out. 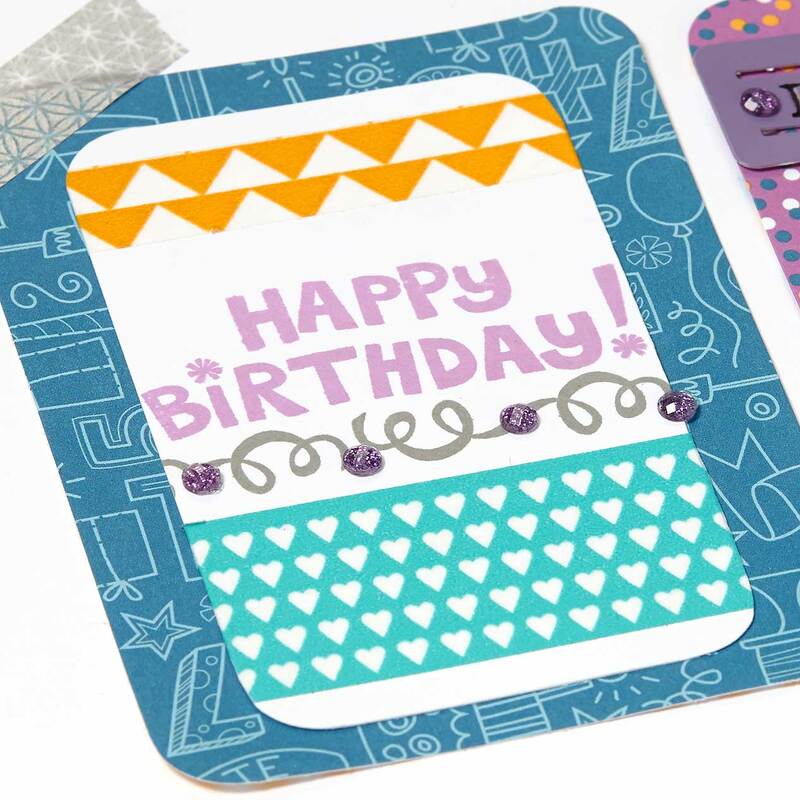 • Create an extra birthday party invitation to include in your scrapbook. • Take pictures of the cake, the food, and the decorations at your child’s birthday party. It may not seem like it now, but in a few years they will love looking back to remember the party theme! Years from now, you and your kids will look back with delight at the memories you made and captured together. In the meantime, enjoy a slice of cake and pat yourself on the back for a job well done!